Urging more people like Edward Snowden and Chelsea (formerly Bradley) Manning to come forward, six federal whistleblowers said it's important to hold government accountable in the post-9/11 world and make sure Americans are as informed as they should be. Not one voiced regret, despite far-reaching personal and professional costs. "How can you fix the mistakes if you don't reveal the illegality?" asked Coleen Rowley, a former special agent with the FBI, at an event Monday at the National Press Club. In May 2002, Rowley drafted a now-famous memo to then-FBI Director Robert Mueller, citing a series of failures on the part of the agency in the years leading up to 9/11. According to Rowley, the FBI had repeatedly proven unwilling to admit its own failure to connect the dots pre-9/11. "But I knew that the truth mattered," she said. Empowering all staff, regardless of rank, to speak out when things aren't right is key, Rowley said. "You want to have people that have the eyes [on government operations] to have the freedom to tell you 'No, this isn't right,'" she said. Rowley was one of three whistleblowers chosen by Time magazine as a 2002 "Person of the Year," foreshadowing the role whistleblowers would play in the decade ahead. 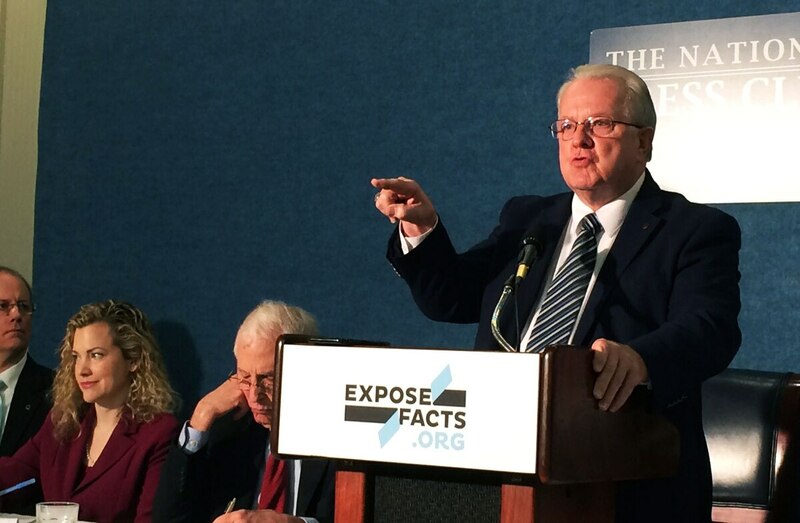 Alongside Rowley, prominent whistleblowers from the National Security Agency and CIA spoke at the event sponsored by ExposeFacts.org, a project of the Institute for Public Accuracy. Army Pfc. Chelsea Manning was charged with violating the Espionage Act after releasing hundreds of thousands of classified State Department documents in 2010, leading to her July 2013 conviction. Former NSA contractor Edward Snowden is living in exile in Russia, having fled the U.S. in June 2013 after publishing classified documents related to NSA surveillance programs. But threats of prosecution and fearmongering aren't the right approach, said William Binney, a former high-ranking intelligence official in the NSA. In the wake of the 2001 attacks, Binney said the NSA found defense for its surveillance programs in all "brands of government." "And having helped design the programs the NSA is using, I felt in part responsible," Binney said. He retired from the NSA in October 2001, after seeing how the agency's surveillance capabilities were being used. "They try to say it's legal, but they never tell you it's constitutional," he said. Binney was one of the men behind ThinThread, a wiretapping data analysis program that was scrapped just three weeks before 9/11. NSA instead funded Trailblazer, which cost billions to operate and failed to take privacy protections into account, Binney said. "Some upper management … thought we needed to go down another path. That we needed to take a shortcut, rather than doing what the law requires. That we're just going to go out and collect all the information we can," said Kirk Wiebe, one of Binney's colleagues. Together, they contacted the DoD Inspector General with their claims — and got nowhere, they said. Wiebe said the documents leaked by Snowden verified what he and Binney had been saying about NSA operations for years. "I wouldn't hesitate for a fraction of a second to tell you he's a hero," Wiebe said. "Question everything, especially authority. And especially when that authority is abused," said Thomas Drake, another NSA whistleblower. Drake retired from his post at the NSA in 2008, after having sought what he described as every appropriate channel to reveal the waste he witnessed as a senior executive. He made little headway internally, he said, which is why he brought his allegations to the media. Having failed to prevent the 9/11 attacks, Drake said that the U.S. government chose "in deep secrecy to unchain itself from the constitution," and engage in widespread violations. "Our mantra was to collect it all," Drake said. "People forget that the NSA was never brought into existence by legislation," Drake said, citing executive authority as the legal basis for the NSA. Drake said that the only people who have been held accountable for the NSA's surveillance programs to date have been those who "dared hold up the mirror" and speak out. "No one else was held accountable," he said, something he finds difficult to understand. "I am the only person in relationship to those mass surveillance programs that was criminally investigated, secretly charged, prosecuted, indicted, convicted and sentenced," Drake said. "And so I'm throwing my weight behind H.R. 1466," Drake said. Known as the Surveillance State Repeal Act, the House resolution aims to repeal the Patriot Act, which has been used to extend the surveillance authorities of federal law enforcement agencies. "We're all for it. We all support it," Binney said.